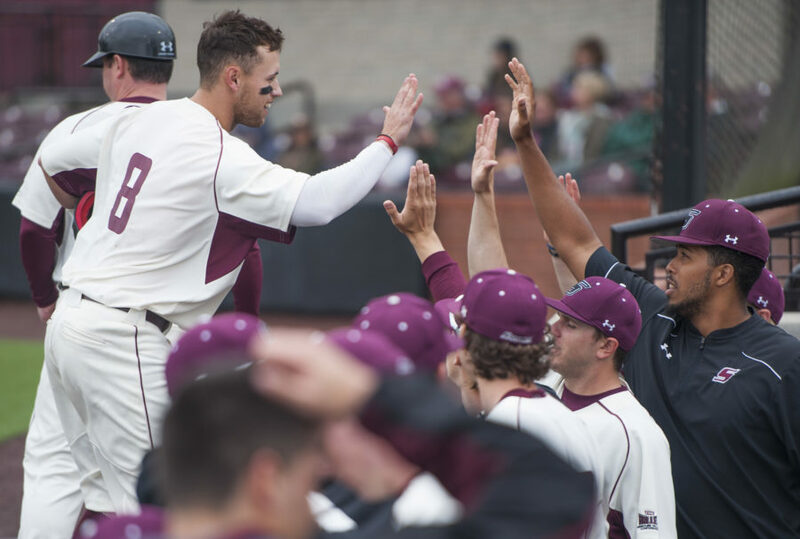 Southern rallied back from a two-run deficit late in the game Saturday to claim a win against Jacksonville State 5-4. Regularly scheduled for a 2 p.m. first pitch start, Saturday’s game was delayed fifteen minutes to allow moderate rain showers to subside. This small delay did not affect the scheduled starting pitchers for the game, with junior starting pitcher Michael Baird taking the mound as expected. 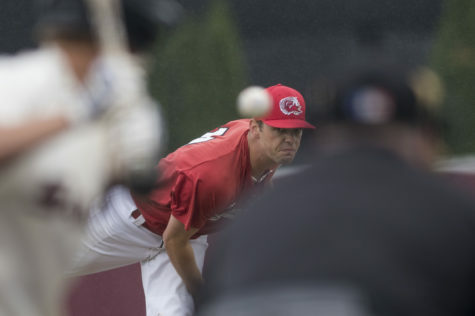 Baird battled through on-and-off misting rain coupled with gusting winds to cruise through his first six innings on the mound, allowing zero runs on two hits, zero walks and six strikeouts. 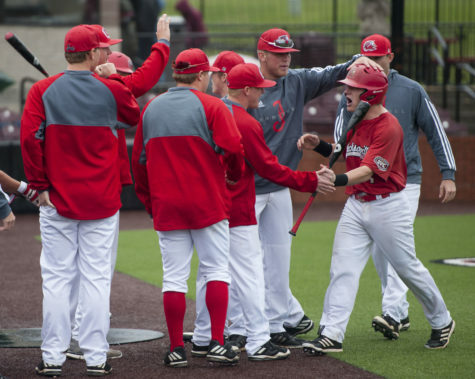 With one out in the top of the seventh inning, heavy rain began to fall on Itchy Jones Stadium. 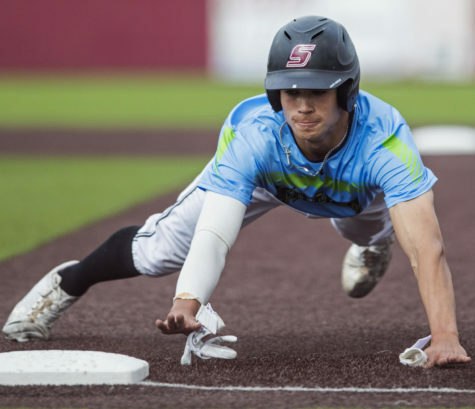 Baird walked the next batter — his first walk issued in the game — and it was apparent he had trouble gaining a good grip on the ball. The umpires had a short discussion between themselves, and with Baird, and all decided to continue through the significant rains. 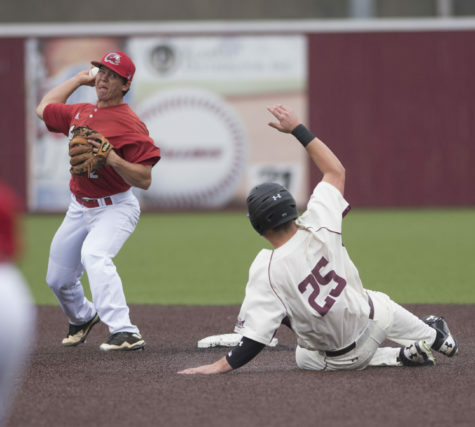 Baird struggled to retain command of his pitches against the next three batters, surrendering three straight singles and two runs before coach Ken Henderson removed him from the game. 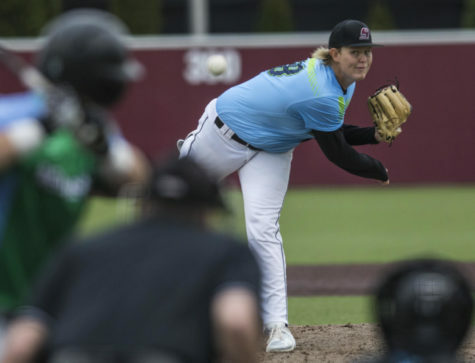 Saluki freshman pitcher Bradley Harrison relieved Baird and also found himself battling the rains. 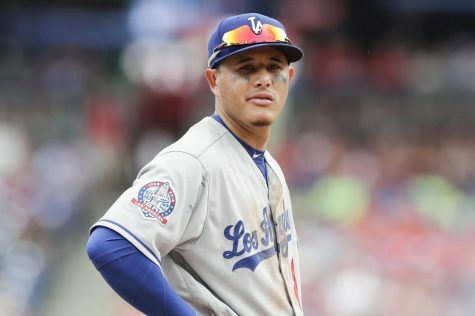 Harrison failed to record an out in the top of the seventh inning, allowing a single and RBI walk. 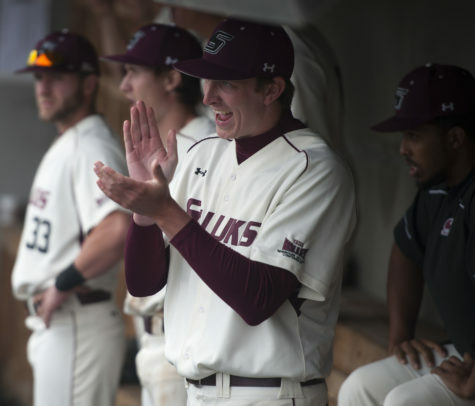 Freshman pitcher Alex Gutermuth replaced Harrison and managed to get the Salukis out of the inning despite issuing his own RBI walk. 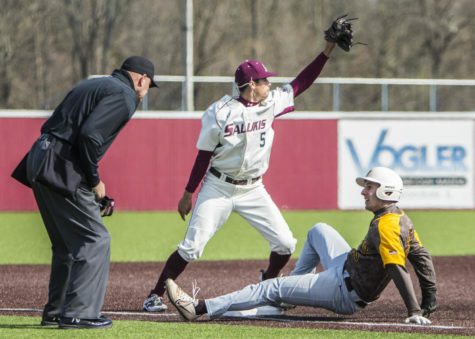 The two-run lead the Salukis held since the bottom of the second inning became a 4-2 deficit heading into the bottom of the seventh. 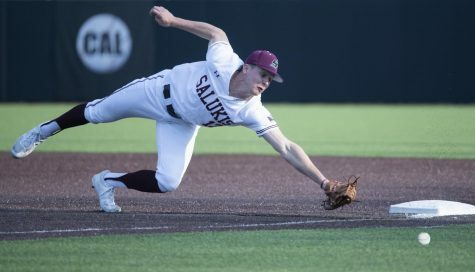 SIU manufactured a run in the bottom of the seventh inning to make it 4-3 as senior right fielder Ryan Smith singled to center field, took second base on a wild pitch and stole third base to put himself in position to score on senior center fielder Dyllin Mucha’s ground out to second base. 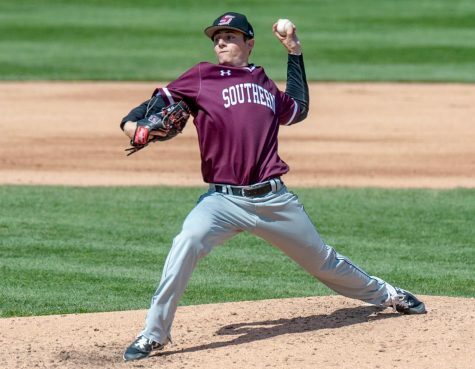 Senior pitcher Austin McPheron threw 12 of his 14 pitches for strikes, allowing zero runs and one hit while striking out two batters to work through a clean top of the eighth inning for Southern. 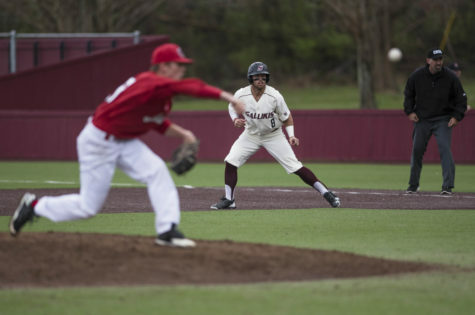 In the bottom half of the eighth inning, junior first baseman Logan Blackfan led off with a walk and junior catcher Nick Hutchins doubled down the right field line to put Saluki runners at the corners with no outs. Senior designated hitter Jake Hand came to the plate and singled through the left side of the infield to score Blackfan and tie the game at 4-4. 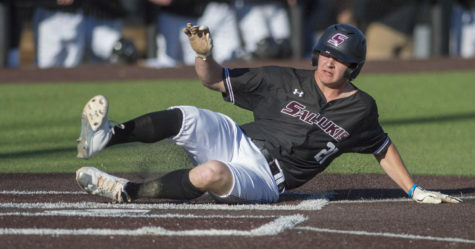 The Salukis would take the lead 5-4 when Hutchins came across to score from third base on a wild pitch. 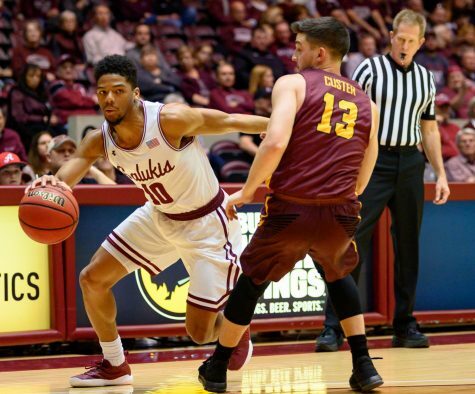 Henderson sent his closer, junior pitcher Ryan Netemeyer, to the mound in the top of the ninth inning with a chance to secure a win for the Salukis. 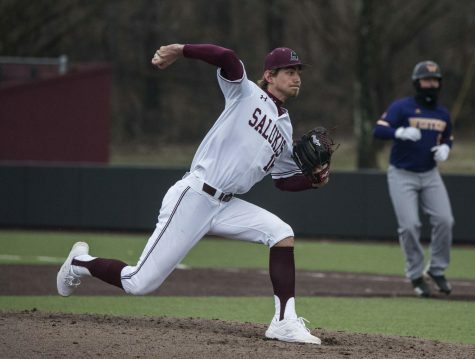 Netemeyer accomplished the task, pitching a 1-2-3 ninth inning while striking out two of the three batters he faced to record his eighth save of the season and a win for the Salukis. 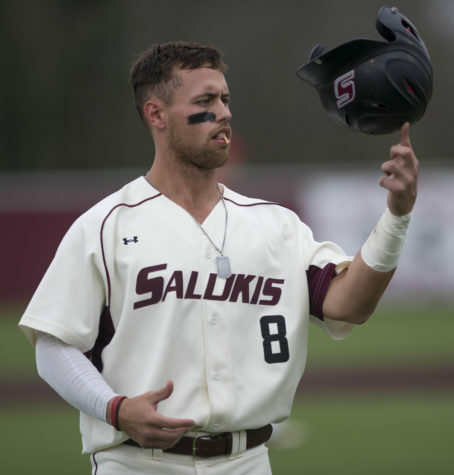 The Salukis (12-11) face Jacksonville State (11-10) in the third and final game of the weekend series Sunday at 1 p.m. Senior starting pitcher Joey Marciano looks to secure the series win tomorrow for SIU.